Murray Baker is hoping for an improved showing from Bonneval (l) in her defence of the Underwood. Bonneval’s defence of the Group One Underwood Stakes looms as a campaign-defining race for the dual New Zealand Horse of the Year. 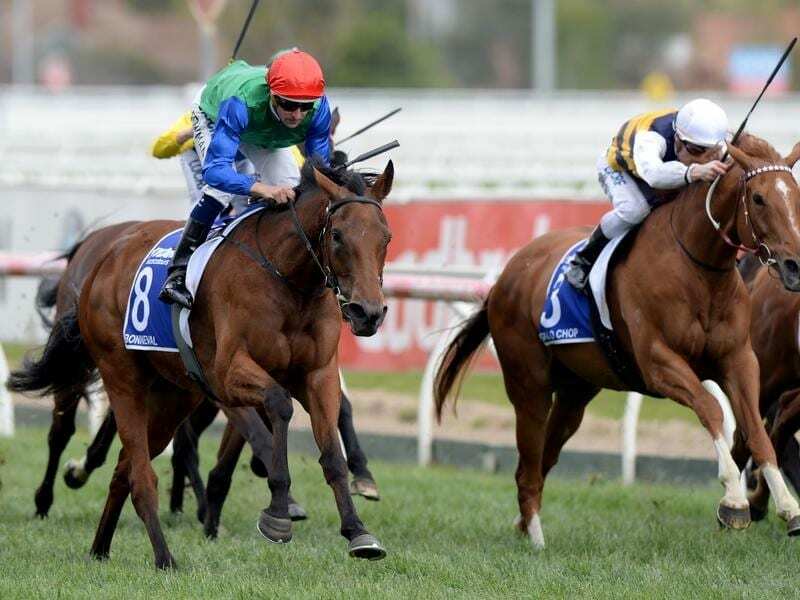 The Murray Baker and Andrew Forsman-trained mare won last year’s weight-for-age Underwood (1800m) at Caulfield coming off a first-up win in the Dato Tan Chin Nam Stakes at Moonee Valley. The scenario is different 12 months on with Bonneval finishing down the track when ninth in the Dato on September 8, her first start since last year’s spring carnival. “I hope she’s improved but we’ll find out on Sunday,” Baker said. “She was a little bit behind (going into the Dato) as I said at the time and we’re happy enough with her. But you would be wanting her to show something this Sunday. “I did say she would probably need a run. She hadn’t run for ten-and-a-half months and she had missed a couple of trials due to cancellations. “She’s had three weeks so she should have improved a bit,” he said. “We want to see an improvement in her. We’ll be happy to see her finish a lot closer,” Baker said. Along with Bonneval’s 2017 success, Baker has also won the Underwood with It’s A Dundeel (2013), Lion Tamer (2011) and The Phantom (1990). Last year Bonneval became the first mare since Tristarc in 1985 to win the Underwood and if successful on Sunday she would become the first horse since Northerly (2000, 2001) to win the race twice. The 2016 winner Black Heart Bart is also striving for his second Underwood, having finished fifth to Bonneval in his defence of the race in 2017.